Technics Amplificador Tuner Y Deck Una Belleza!! Technics Subwoofer Activo Sb As500 Sonido Demoledor!! Technics Equalizador Sh8017 Muy Lindo!! Technics Sub Woofer Activo Impecable! 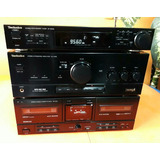 Technics Amplificador Y Tuner 110w Rms Formidables!! 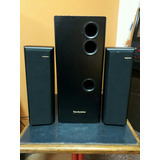 Sub Woofer System Technics Modelo Sb-w32 U.s.a.
Technics Equalizador Dsp Sh-gs91 Igual A Nuevo!! 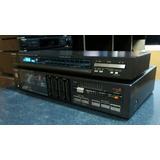 Technics Amplificador Tuner Equalizador 110 Rms Impecable! Equipo Technics Completo Con Control, Japones. Excelente.